Please note: this is a secret page and only approved Rock Star Affiliates have access to it. Please do not share this URL with anyone else as only people who have done the DIY VA course are being rewarded for promoting it. Good day to you Rock Star! 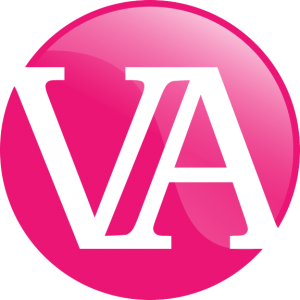 Because I want to ensure you get the most out of being an Affiliate for the DIY VA course, here are some FAQs, advice and tips on how to use your link well in order to make more money! What is an Affiliate referral link? This is the URL Affiliates use to promote a website or product. Your unique Affiliate ID is added to the end of the site/product URL and if someone successfully completes a sale using your link, you will be awarded a commission for referring the buyer. How do I create my Affiliate referral link? Go to your Affiliate Area (this is where you can see all your referrals and earnings etc.) then select ‘Affiliate URLs’ from the top menu and follow the screenshot below. Because I’m only affiliating out the DIY VA course, the Page URL will always be https://munrocourses.com/course/diy-va-course/. Enter this in the Page URL box, click Generate URL then make a note of your unique referral link. Are you affiliating out all your courses? No, Affiliate payments only apply to sales of the DIY VA course. How much will I receive if my link results in a sale? You will receive 20% of the price it is being bought for and there is no minimum monthly payout. So if someone buys the course with one single full-price payment, you will receive 20% of that payment. If they choose to pay in instalments, you will only receive 20% of that first instalment only and nothing on any further instalments. If someone buys the course in one of my sales, you will receive 20% of the price I am selling it for in the sale. Where can I post my Affiliate link? It is much better to casually provide the link when chatting in forums and groups rather than an all-out spammy hard sell. Write a blog post on how and why you set up your business. Post the link on your social media sites. Use your link to answer questions or when you write comments on forums, blog posts, Facebook, LinkedIn or Quora. Do not spam or break any group rules though! If you have recorded a video testimonial for me, you could share it with some groups along with a link. Admin, female entrepreneur, VA, digital nomad and mum/parenting-related groups are perfect locations as the course is very well suited to people with these interests. You could mention you work for yourself, what it’s like to be a freelancer and what you’re doing that day. If you receive comments from interested people, you could then post your Affiliate link along with a note about how you recently completed the training and how it’s given you a level of confidence and business knowledge which you needed in order to run your own business. Is there anywhere I can’t post my Affiliate link? This is very important because if you even accidentally break any Facebook or Google terms of service, I could be penalised and have my Facebook account suspended. At the very least, my reputation could be left in tatters. If you break those terms, your Affiliate account will be terminated immediately and no payouts will be honoured. My link is quite long, can I shorten it? Yes. You can use Bit.ly to shorten your link and it will still work. How long are the cookies? Link cookies last for 90 days. This means that if someone clicks your Affiliate link and buys the course within 90 days, you will still receive 20% of the sale price. Amazon only has a 24 hour cookies so 90 days is quite a long time. The cookie will expire either after 90 days, or if the potential buyer clears their cookies before then. Affiliate payments are processed and sent directly to your PayPal account between the 1st and 10th day of each month. Payments are made in pounds sterling. Please email support@thevahandbook.com if you need any help and either myself or my VA will get back to you. You can find them here. Please make sure you adhere to them at all times!